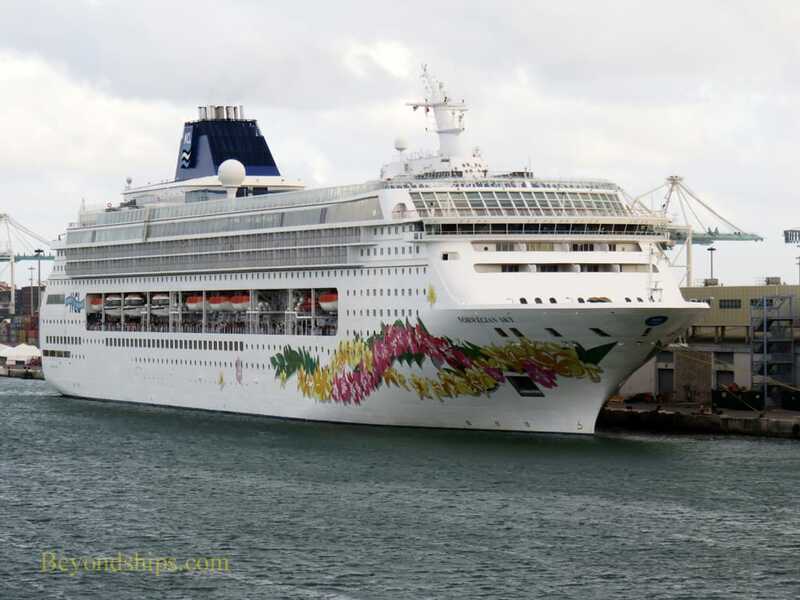 Norwegian Cruise Line has long had a strong presence in Miami. Indeed, the line's headquarters is in Miami. 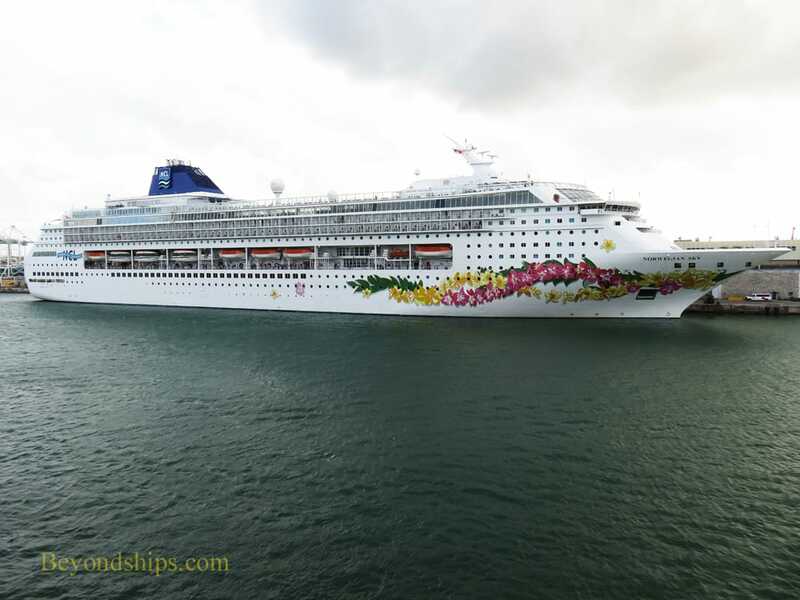 During the 2016-17 cruising season, four Norwegian cruise ships were based in Miami. 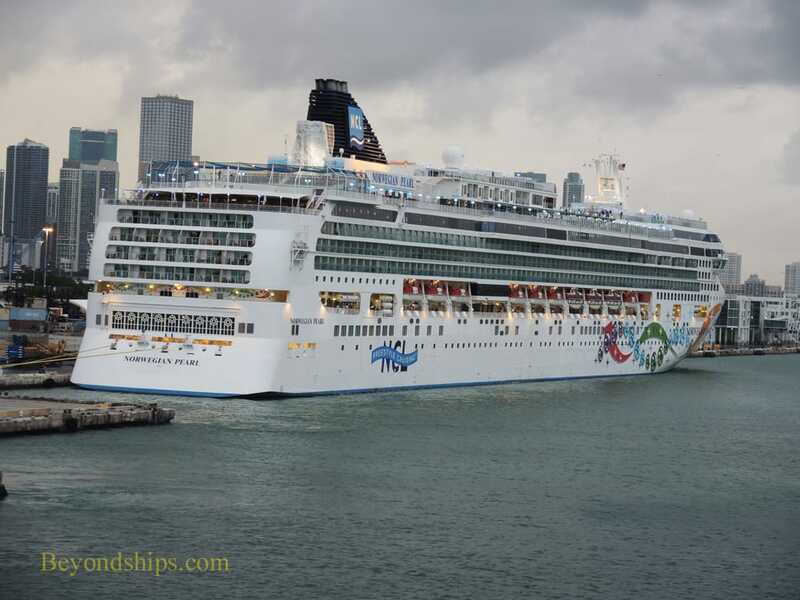 In this pictorial, we show three of them: Norwegian Sky, Norwegian Getaway and Norwegian Pearl. (For photos of the fourth ship, Norwegian Escape, click here). Norwegian Sky is the smallest of the four Norwegians in Miami. Her specialty has been short four and five day cruises to the Bahamas. 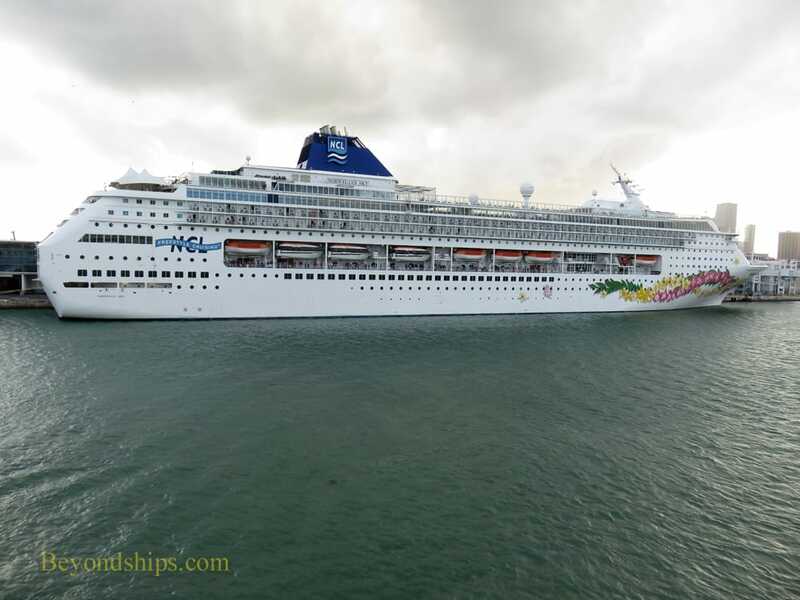 However, she has been designated Norwegian's entry into the Cuba cruise market. 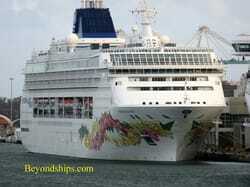 Here, we see Norwegian Sky at her berth on Miami's Dodge Island. (See video).